I actually just created a video about dashboards, which you can see on the Growth Everywhere and Single Grain Facebook pages. 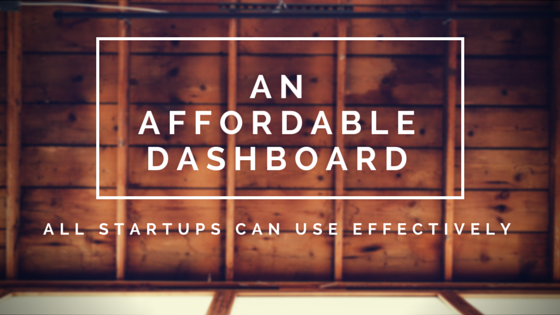 I’ve heard about lots of different dashboard web applications, but a lot of them are too expensive or enterprise-level for most startups. I actually just created a video for this. So if you check out the Growth Everywhere Facebook or the Single Grain Facebook, you’ll see this video ‘How Does Dashboard Really Works’. When we’re starting out with businesses, a lot of businesses aren’t even thinking about metrics from the beginning and it’s just easy to start tracking your metrics from the beginning so you get in the habit and have a culture of doing that. Until now, I’ve heard of all these different dashboard web applications. There’s DOMO which is super expensive, more enterprise level. You have Grow.com which I recommended in the past – that starts at like $49. But recently, I heard about a dashboard tool called Cyfe and it’s really been helpful for my internet marketing background perspective, just using this tool, because I can hook it in with Facebook, Google Analytics, Stripe, InfusionSoft, whatever I want to hook it in with, it’s easy to do and this is just really simple to use. You can invite people, you can make them admin, give them ready-only access, and just get everybody on the same page in general. You can even hook it up with Google Spreadsheets as well. If you want to see a visualized version, check out the Growth Everywhere Facebook page. It’s facebook.com/GrowthEverywhere and check out what it looks like. I highly recommend it. The dashboard starts at $19 and to me, it’s underpriced right now. I think you should get in on it and I think there’s even more of this if you pay for the whole year, I think it’s 144 bucks. Feel free to check it out. It’s C-Y-F-E, so it’s cyfe.com. Let me know what you think.